Blanket terms like breakouts and blemishes are often used to describe acne. However, these term s hardly take into account the specific differences between acne types. In reality, there are dozens of different types of acne, each with varying symptoms, appearances, and treatment remedies. It’s important to know how to distinguish each type of acne before lumping your potential symptoms into a generic “breakout” category. Knowing the type of acne you have will guide your treatment plan and help clear up your symptoms more quickly. 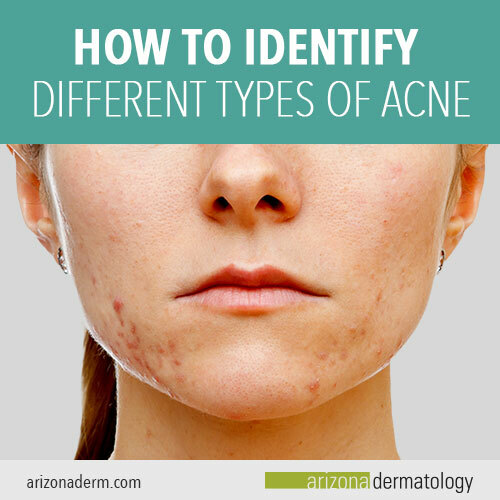 Follow along as we cover how to distinguish these common types of acne from one another. Whiteheads are just that—small blemishes with whitish “heads” that appear at the surface of the skin. The “head” commonly indicates that there’s pus, which is white fluid that accumulates at the site of an infection, clogged within a pore. Whiteheads are also defined as comedones and develop when hair follicles become clogged with sebum, or oil, and dead skin cells. Skin only needs a certain amount of sebum to protect itself. When the skin produces too much oil, it produces whiteheads. Whiteheads also cause pores to stay closed at the surface of the skin, which is another reason why you notice the whitish “head” at the top of the pore. Whiteheads are considered to be a mild form of acne. Depending on the severity of the case, over-the-counter medications and cleansers may be the most appropriate treatment. We recommend applying benzoyl peroxide and salicylic acid in addition to washing your face with warm water and a mild soap or cleanser. If these treatment remedies don’t do the trick, we recommend seeking a professional opinion, as prescription medication may be necessary. Blackheads are blemishes that look like small, black dots. Like whiteheads, blackheads are also considered to be comedones, or hair follicles that’re clogged with oil or dead skin. However, unlike whiteheads that remain closed, black heads are open at the surface of the skin—despite the pore being clogged. Many people think blackheads are colored black because of dirt build-up. However, blackheads aren’t black because of dirt. The black hue associated with this type of acne comes from the pore’s exposure to oxygen. The exposure to oxygen is what causes these blemishes to oxidize and turn black. Treatments for blackheads are similar to the treatments for whiteheads. In most cases, over-the-counter medications and cleansers should clear up your skin. Extraction of the dead skin cells and oil may also need to be done by a professional. Papules are blemishes that represent the next phase beyond whiteheads. They’re comedones that become inflamed and infected. They’re typically very sensitive to the touch and are hard, clogged pores that leave the skin with a pink or red appearance. Papules occur when there’s bacteria, oil, or dead skin cells under the surface of the skin. These elements cause the walls that surround the pore to break down and become inflamed. What’s left on the surface of the skin is typically diagnosed as moderate to severe acne. When treating papules, the main goal is to soothe and calm the impacted area. This is typically accomplished with a mild face wash and gentle lotions. After the area has been soothed, the prescription medication can then work to subside the symptoms. You should not try treating papules by picking, squeezing, or drying the blemish out. These tactics tend to worsen the already impacted area and can lead to further infections, dark spots, and acne scars. Pustules are blemishes that are a phase beyond whiteheads, much like papules. But, unlike papules, pustules contain yellow or white pus that can be seen on the surface of the skin, which is why they’re commonly mistaken for whiteheads. One way to distinguish pustules from whiteheads is the red ring. Most pustules will have a red ring surrounding the white or yellow head on the surface of the skin. Pustules are also very painful and tender to the touch, unlike whiteheads which are much less severe. When treating pustules, it may be tempting to try to pop or pick them. We recommend refraining from these actions. Squeezing pustules can worsen their appearance later on. If anything ruptures beneath the surface of the skin, it can lead to scarring and painful infections. When it comes to remedies for pustules, it’s best to leave it to the professionals. As dermatologists, we can prescribe medications, cleansers, and more to help clear your skin in a safe and effective way. In more extreme cases, patients may experience blemishes that we categorize as severe acne. Severe acne often last for months on end and has the tendency to spread rapidly. Nodules are large, inflamed bumps that are firm to the touch. They develop deep within the skin and are typically very painful. Nodules develop when clogged, swollen, or infected pores endure further irritation and infection. Cysts are one of the largest forms of acne. They’re pus-filled lesions that look like boils. They usually stem from a severe infection and are more likely to scar. Treatment for cysts should be left strictly up to dermatologists, as they may need to be drained or removed surgically. Acne conglobata is a highly inflammatory disease that involves several inflamed nodules that are connected under the skin to other nodules. Patients with acne conglobata develop symptoms between the ages of 18 and 30. They appear most commonly on the neck, chest, back, arms, or buttocks. Acne conglobate is a skin condition that mostly impacts men, and has been oftentimes associated with the use of steroids or testosterone. As its name explains, severe acne is just that—severe. This means that treatment may also need to be severe in order to subside the deep infection these types of acne create. Rather than a one-size-fits-all solution, severe acne is best treated by a professional. Over-the-counter products and at-home remedies are simply not powerful enough. When scheduling an appointment at Arizona Dermatology for severe acne, we may recommend acne extractions, prescription medications, chemical peels, or more, depending on severity of the case. Dealing with acne of any kind can be a difficult and emotional experience. But, knowing how to distinguish the type of acne you may be experiencing is a great first step in the right direction. 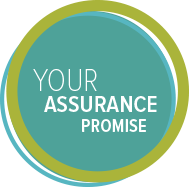 From there, we’ll work together to set up a personalized treatment plan to ensure you’re confident in your own skin. Simply schedule a consultation appointment to get started.